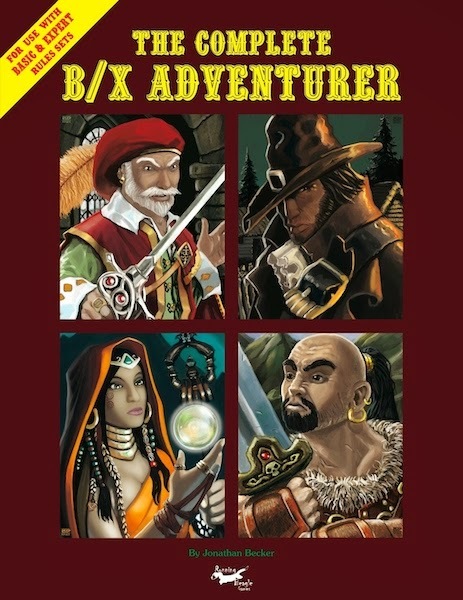 The Complete B/X Adventurer from Running Beagle Games, who did the excellent B/X Companion (basically a variant version of the Companion rules, meant for B/X (Moldvay and Cook), instead of Mentzer's Basic and Expert. Anyway, basically it's a bunch of new original classes, 17 in all. So while the price of $10.00 might seem a little steep, compare it to all those $1 classes.